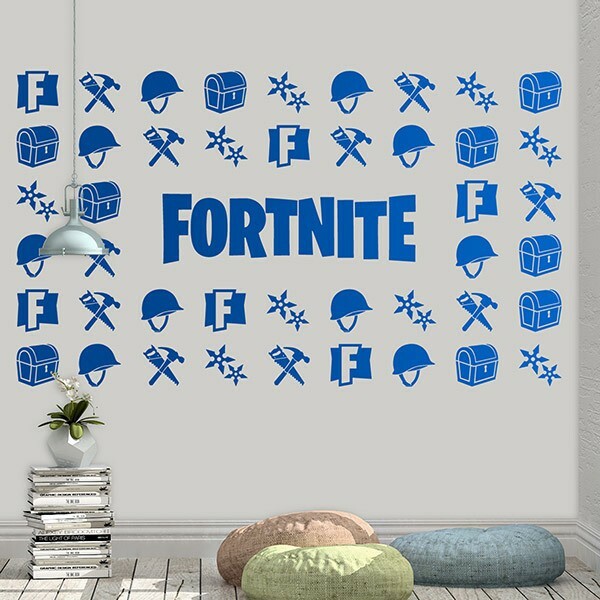 Wall sticker Fortnite Photocall. If you are a youtuber, gamer or fan of the acclaimed video game, you need to decorate the wall of your entertainment area. 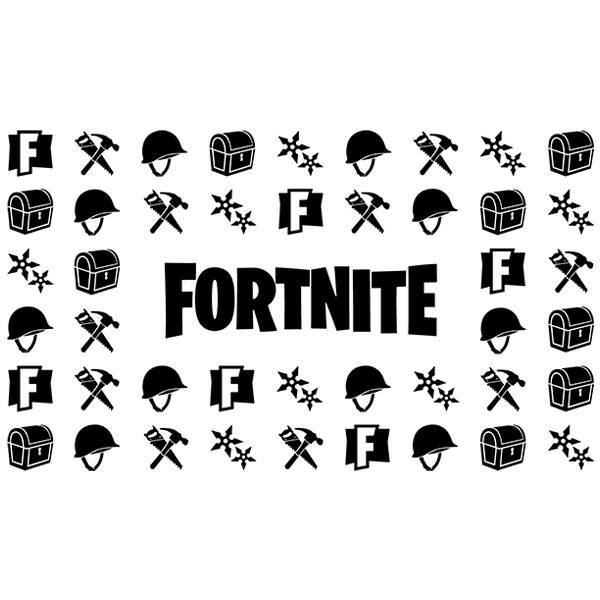 Fabulous design with the logo and icons of Fortnite, the online video game of Epic Games of cartoon aesthetics that sweeps the world. 100 x 57 cm. 110 x 63 cm. 120 x 69 cm. 130 x 75 cm. 140 x 81 cm. 150 x 86 cm. 160 x 92 cm. 170 x 98 cm. 180 x 104 cm. 190 x 110 cm. 200 x 115 cm.